Over the next couple of months, I will suggest companies that you may be interested in their dividend payments. It would be nice to also choose companies that are either going to grow or at least remain level after several months or so. Seasonally, the best growth period to purchase shares has been mid to late October through until mid to late April. May to October traditionally has been up and down finishing at about the same price that you bought. The last couple of years have been different with continued growth throughout the whole year; this may be about to change. Purchasing during this period for dividend payments gives a stream of income to your fund while the shares bounce around a bit. My first suggestion for this is Tesco PLC. You can purchase at the moment for just under £3.00. 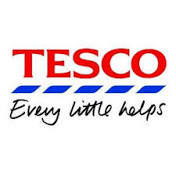 Tesco has taken a sharp drop over the last few weeks but looks ready for a sustained move up. Remember, you are primarily buying for the dividend payment over the next few months. Buying now should get you the April and October payment. Some share growth would be excellent too!